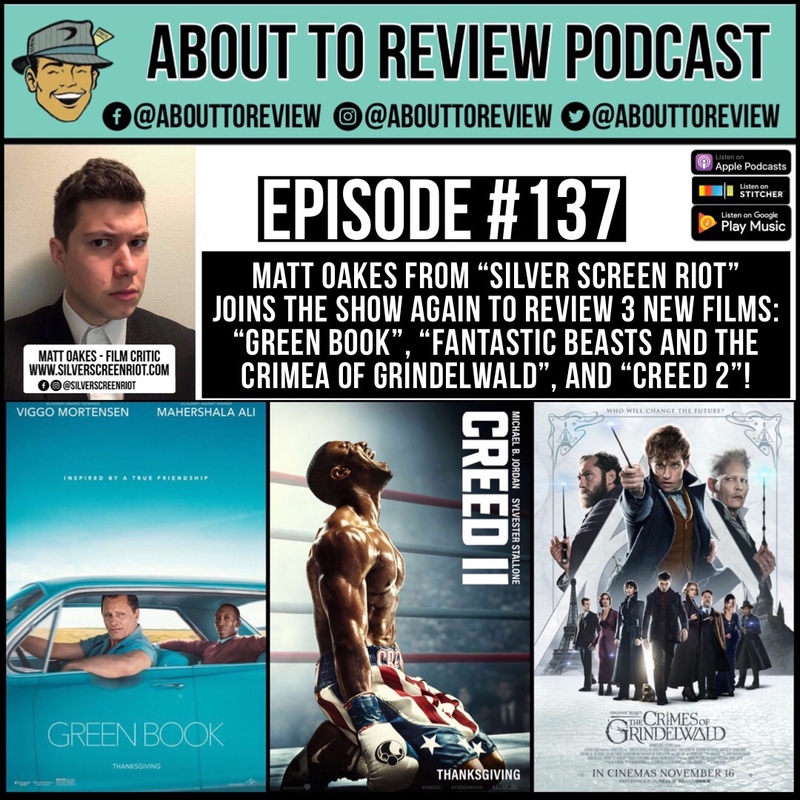 Matt Oakes from Silver Screen Riot is back in the studio to review three new films on this weeks episode, “Green Book”, Fantastic Beasts and the Crimes of Grindelwald”, and “Creed 2”! Make sure to check out Matt’s site to see all of the reviews and interviews he has done! Thank you Matt for coming to the studio to review these films! 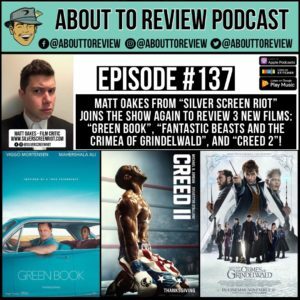 They include a feel good family film “Green Book”, a convulted entry into the Harry Potter world “Fantastic Beasts and the Crimes of Grindelwald”, and finally a somewhat bland boxing sequel “Creed 2”! Yearly tradition of “No Shame November” with special guest!